This article was originally published on NPR’s Shots, 23 November 2012. 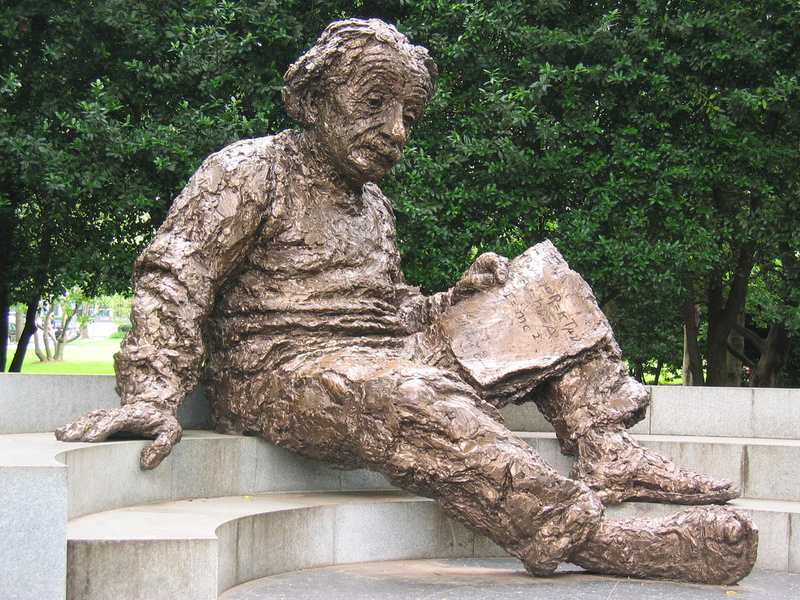 Albert Einstein Memorial at National Academy of Sciences, Washington, DC. Source: Flickr/Adam Fagen, CC. Albert Einstein was a smart guy. Everybody knows that. But was there something about the structure of his brain that made it special? Scientists have been trying to answer that question ever since his death. Previously unpublished photographs of Einstein’s brain taken soon after he died were analyzed last week in the journal Brain. The images and the paper provide a more complete anatomical picture and may help shed light on his genius. Every brain has unique nooks and crannies. Aside from sheer curiosity, examining Einstein’s brain could yield scientifically valuable insights. “There are strong links between variation in brain anatomy and variations in intellectual ability, period,” says Sandra Witelson, a neuroscientist at the Michael G. DeGroote School of Medicine at McMaster University in Ontario. The story of how the photographs turned up is interesting in itself. In the hours after Einstein’s death in 1955, the autopsy pathologist, Thomas Harvey, took dozens of photographs and dissected the physicist’s brain into 240 parts for preservation. Harvey’s lab made slides for future study.